← Congratulations 2018 Golf Tournament Winners! 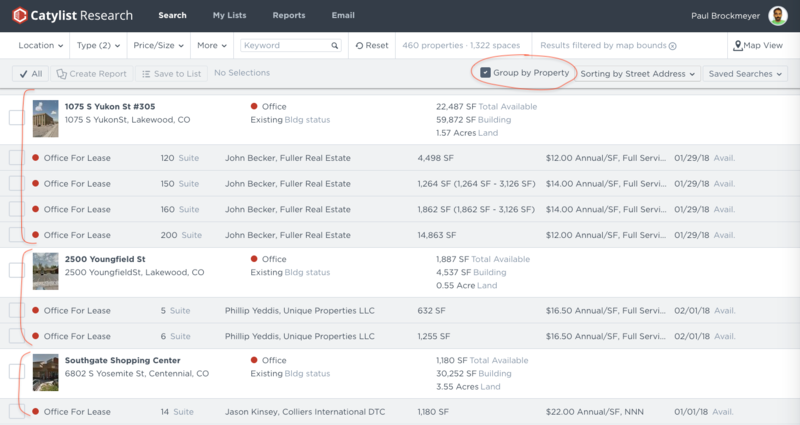 Catylist announced the following platform upgrades, improving system workflow for thousands of CRE Professionals. Please review the information below and contact the Catylist Help Desk with any questions or comments. Previously, users have had to add results to a List before they could create reports. They can now use the new checkboxes (down the left side) to select results, then click the “Create a Report” button (in the new, gray search toolbar) to immediately access the reporting options. 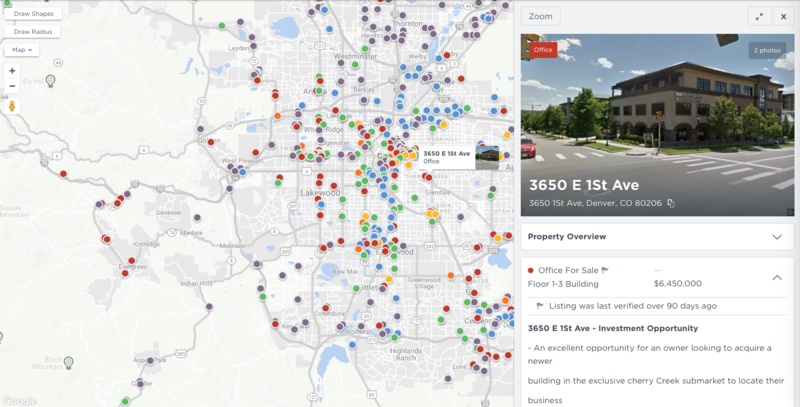 Previously, our List View grouped results by property. That grouping is now optional — you can choose to instead view individually listed spaces separately. You can toggle between these using the “Group by Property” checkbox (in the new, gray search toolbar). 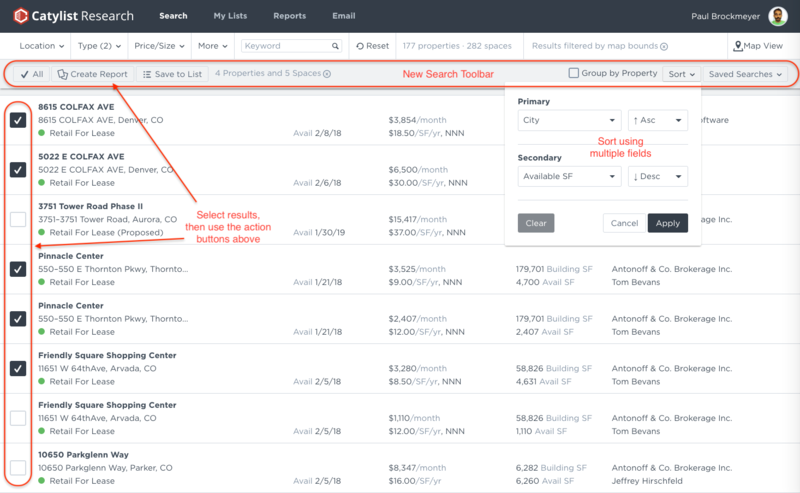 This also allows for new sorting options for properties and listings. We’ve added a number of new sorting options on the List View and made improvements to several others. You can also now sort using multiple fields. Many users have been anticipating these adjustments in the platform. They are the direct result of your feedback. Please continue to let us know how we can improve our user experience, and don’t hesitate to contact our Help Desk or Market Director… more to come. Training seminars will be announced soon! This entry was posted in Industry, SiteIndex, Technology. Bookmark the permalink.